There are times that we feel a long way away from Nimrod and our life aboard her when we are in the UK. However, it seems that there are little reminders if you only look for them! 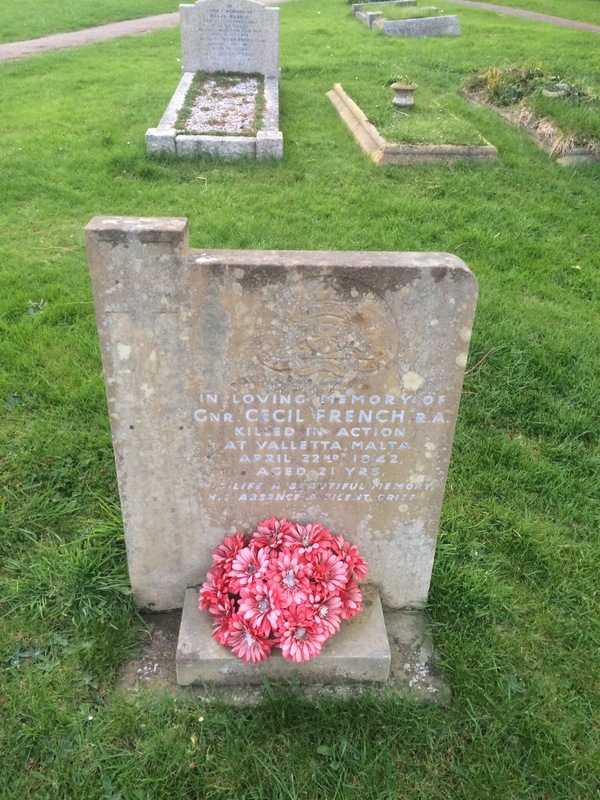 The other day I was walking through our local church yard and came across a grave of a soldier killed in Malta during the WWII siege. As you can see from the photo below, he died in April 1942 during some of the fiercest fighting. If our boat hadn’t been moored in Valletta, we probably would have continued to walk past without a second thought. This entry was posted in News and tagged 2015, Malta, Med. Bookmark the permalink.